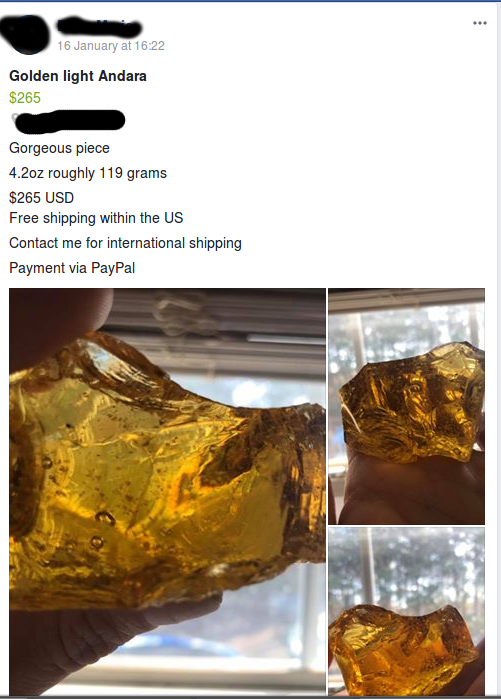 Some of these pieces are more ‘fake’ than others. Goldstone and Opalite are often sold as glass by trustworthy merchants – but not always. Some are easy to spot, but unfortunately, some are not. This page just lists a few common fakes. 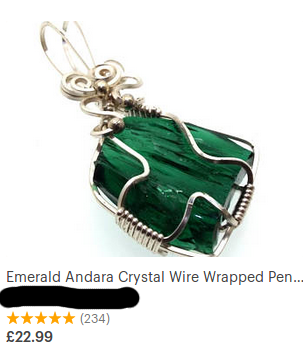 AKA: “Golden Light Andara”, “Monatomic Andara Crystals”, “Andara Crystal Glass” – any combination of words before “Andara”, seemingly. There are stories online about its discovery by a medicine woman called “Lady Nellie”, around Mount Shasta, California. However, this is nothing more than slag/cullet glass. The conchoidal fracturing, the clarity, and the bubbles are a dead giveaway. It’s pretty – but you’re paying an insane premium for fiction. It is actually quite hard to find cullet glass sold in the UK – but you can buy it cheap enough from this German website.. Sellers have taken to referring to it by the names of gemstones, too – perhaps in an attempt to confuse unknowing buyers. 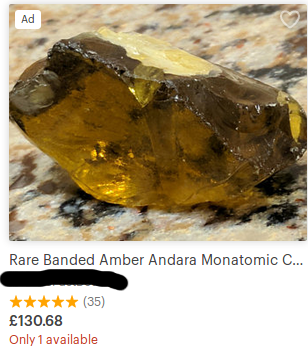 “Amber Andara” and “Tanzanite Andara” are nothing but coloured pieces of glass. 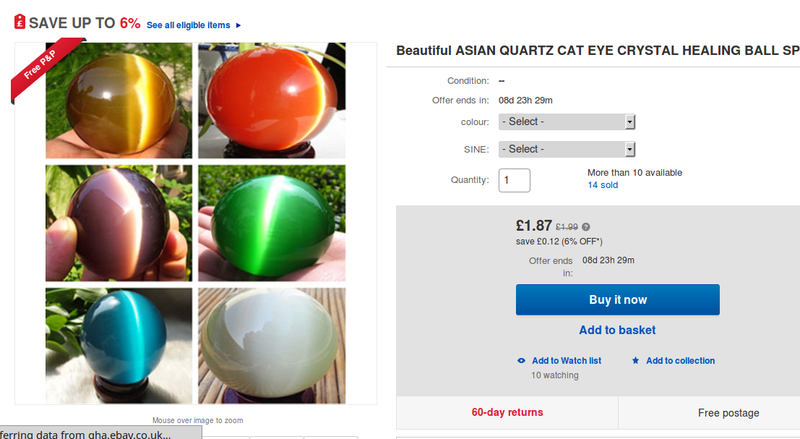 A little confusing, there are cats eye effects in many gems, including Beryl – but these pieces are purely a form of fibre optic glass. Also known as: “aventurine glass”, “stellaria”. A truly pretty glass with glittering metal inclusions. It is not often sold as a gemstone but people don’t tend to highlight that it is a man-made glass, either. 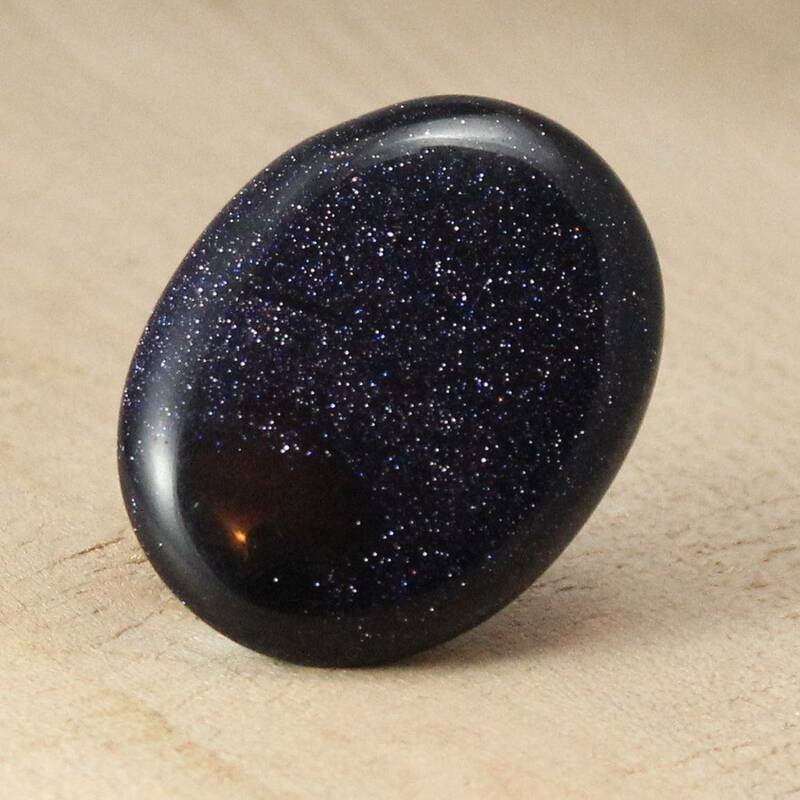 Goldstone is commonly cut into decorative objects or used for costume jewellery, wire wrapping, etc. 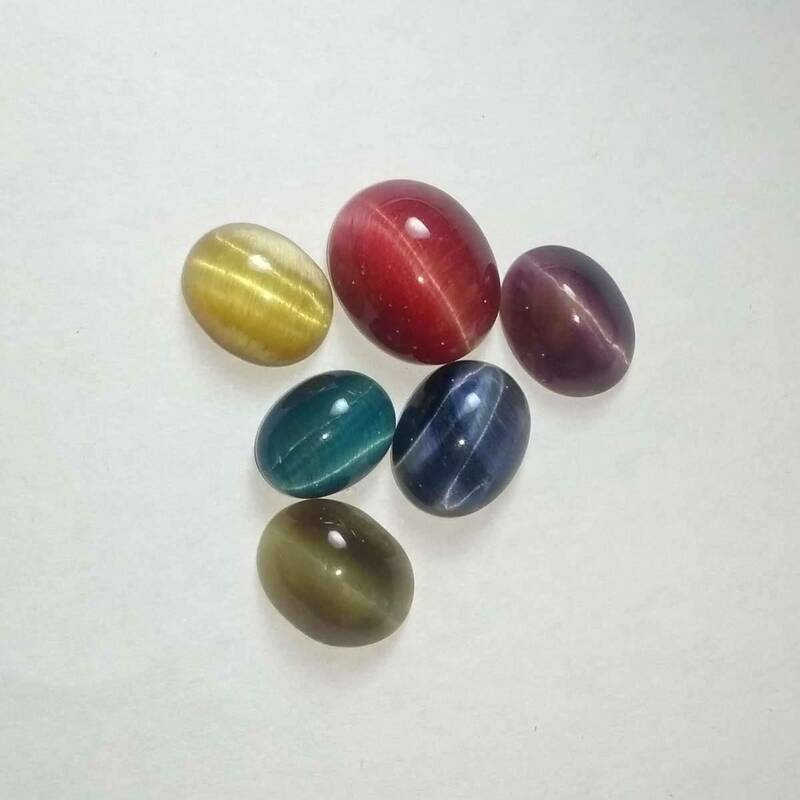 There are several colours of Goldstone – red, blue, and green. 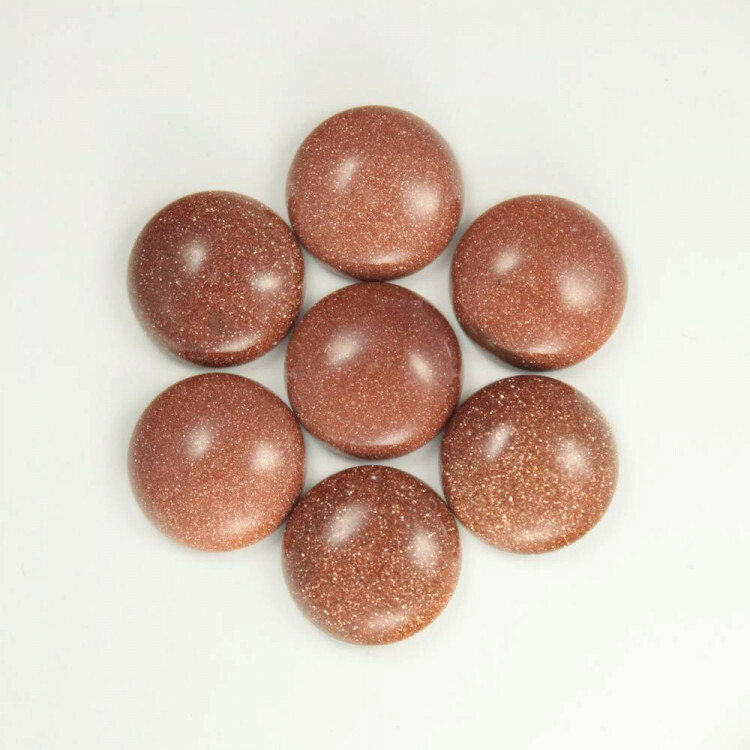 More information about those specifically can be found on our Goldstone page – essentially, the colour boils down to the material used in their creation. 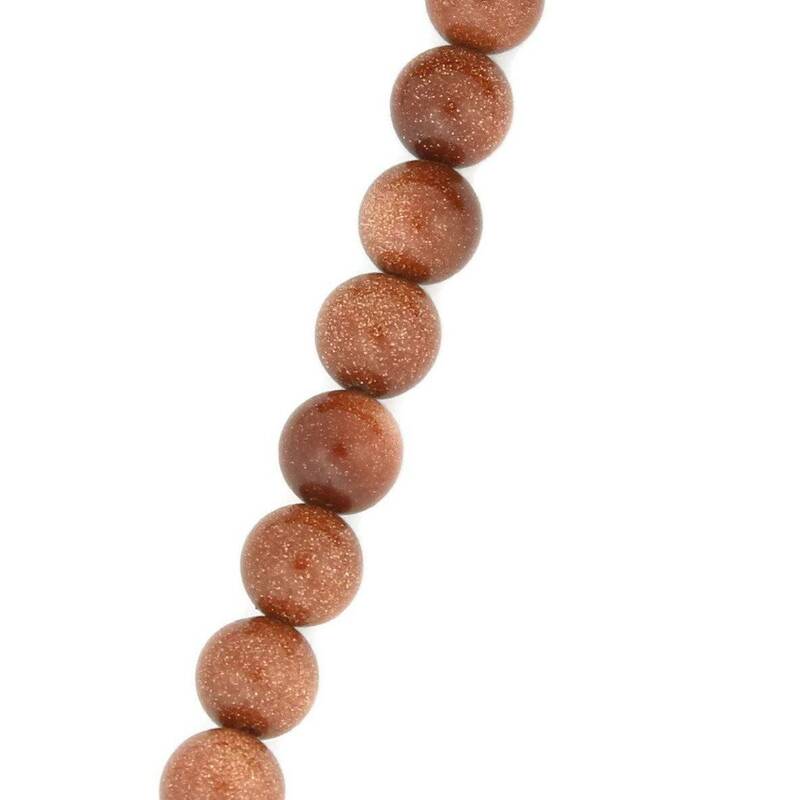 We do sell Goldstone pieces but try to make sure everyone knows they are just a glass! 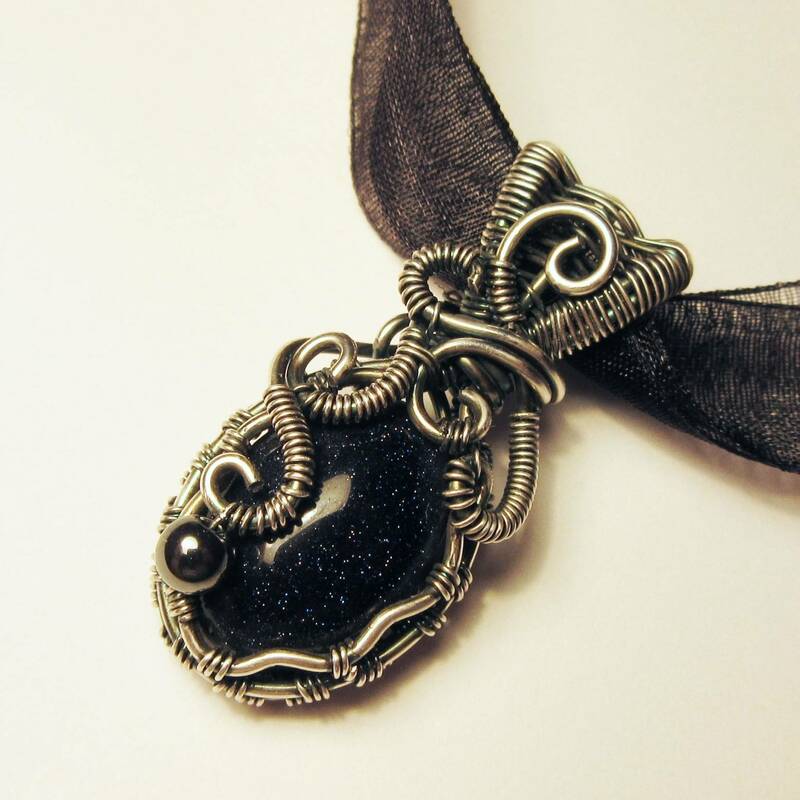 This can be a particularly insipid fake; true Obsidian is volcanic glass, which is obviously quite similar to man-made glass, both in appearance and composition. Some pieces are easy to identify as fakes – primarily due to their clarity. A clear glass ball is definitely not Obsidian, unless it costs a lot! Obsidian only commonly occurs in a few colours – primarily brown/black dark and ‘Mahogany Obsidian‘. An especially common fake sold in the UK is ‘blue Obsidian’ – which, while it may exist naturally, would be tremendously expensive and not as clear as the fake pieces, shown to the right. 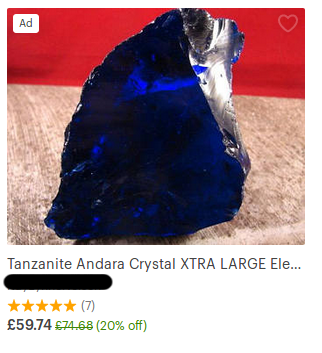 We do actually sell this Blue Obsidian, but clearly state that it is a man-made glass. Fake Black Obsidian is very hard to identify, unfortunately. We’d recommend only buying Black Obsidian pieces from reputable dealers – you can’t see the clarity, and it is very difficult to tell a polished piece of man-made glass from a polished piece of volcanic glass. AKA: “Opalite Glass”, “Argenon”, “Argenon Fluorite”, “Sea Opal”, “Opal Moonstone”. 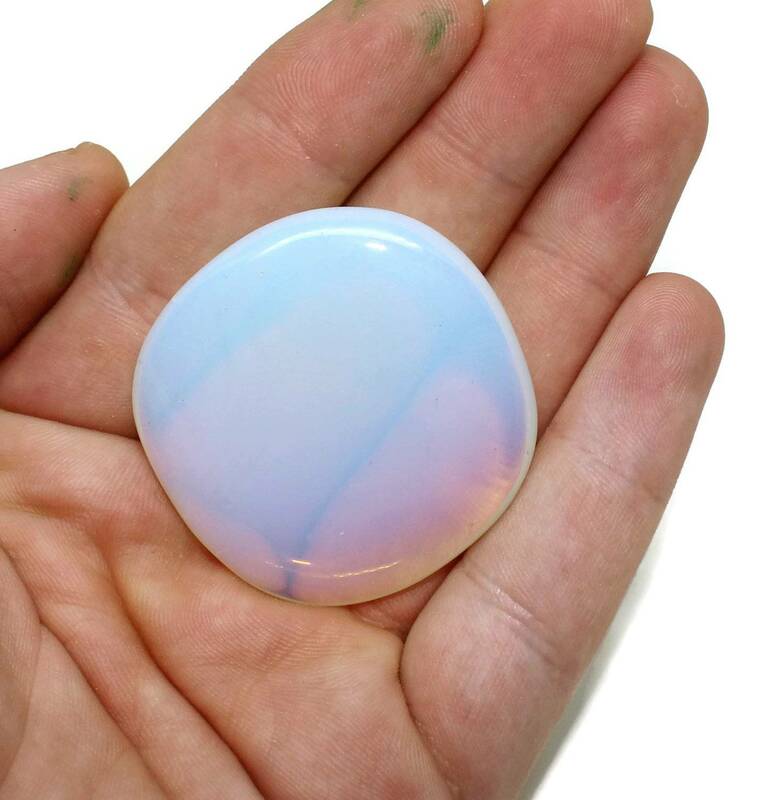 Opalite is often used as a fake stone – sold as Opal or Moonstone to catch out unsuspecting tourists or beginners to collecting. It is a low value glass but has a great look. Almost chatoyant in the right light – there are a few different light effects that play through this glass. To add a little more confusion to this glass, the name “Opalite” can actually refer to some lower grade pieces of genuine Opal. This is unnecessary and we don’t think anyone should refer to true Opal as Opalite. It may also be used to refer to “Opalised Fluorite” or “Tiffany Stone” – properly known as “Bertrandite”, which is typically used as an ore of Beryllium but is sometimes cut and polished en cabochon. Luckily, these pieces look entirely different to Opalite glass! We do sell a few Opalite pieces, as they are pretty – but we sell them as a glass! AKA: “Asian Quartz”, “Tibetan Quartz”, many more. 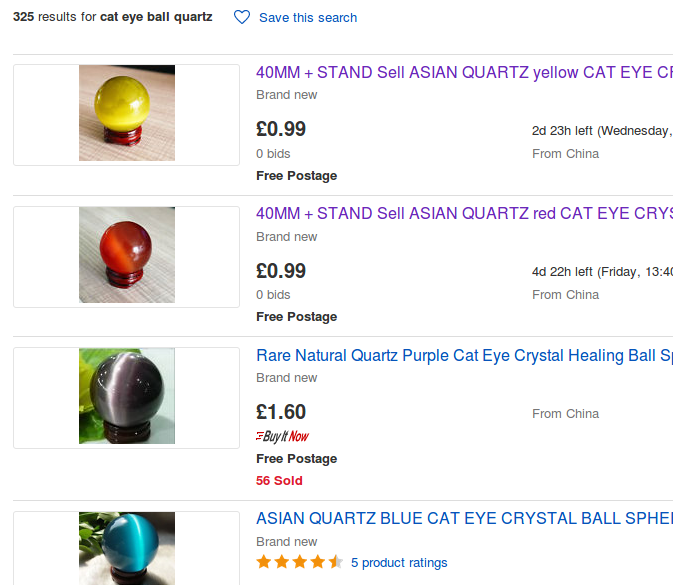 Simply put, a complete lie on the part of Chinese sellers – typically on eBay. These listings are typically pretty cheap, but there’s nothing Quartz about them. As glass spheres they’re actually pretty cheap! True Quartz spheres will almost always have a cloudy look, with fractures, cracks, and inclusions in them. A true Quartz sphere that was as crystal clear as these spheres would be very rare – and very expensive. Gemstones and minerals at war!